Please also let others know about this site. While traveling I try to always visit local antique stores. Whether something historical, musical, or in print, serendipity rules and may show up on my blog or in programs. 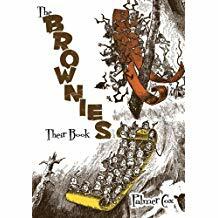 This past week I found a most unusual book by Palmer Cox, the Canadian author/illustrator best known for his series of children's books about The Brownies. 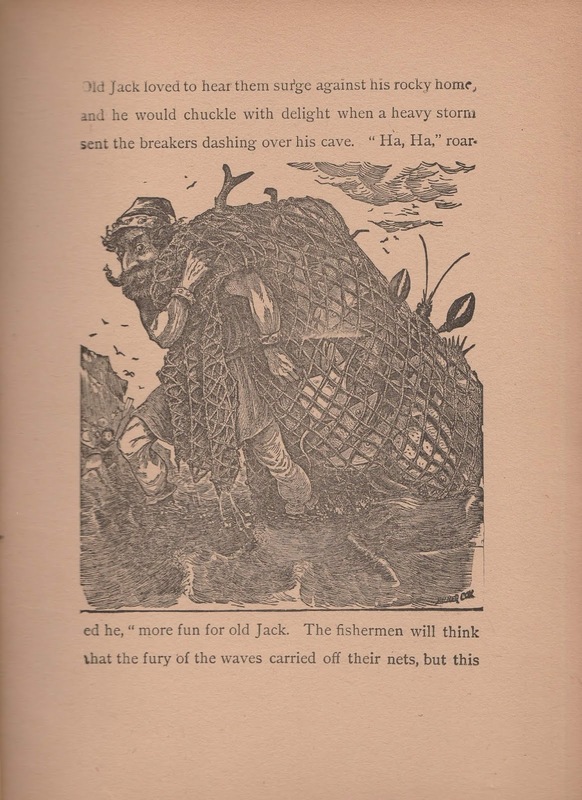 Cox first produced the mischievous characters for children's magazines like the legendary "St. Nicholas Magazine" and "Harper's Young People", and in newspaper comic strips until a book, The Brownies: Their Book in 1887 compiled some of these vignettes for the first of many books about them plus two very successful plays. Their enduring popularity was shown in a 1988 Tuttle reprint of the Brownie Yearbook. 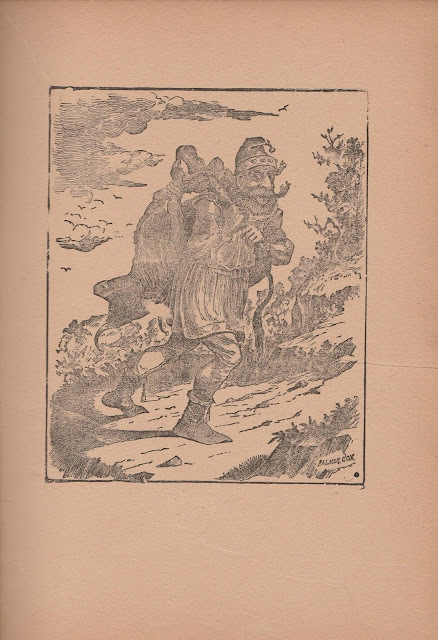 Earlier in 1971 Tuttle's reprint of Bugaboo Bill about how a village got rid of a troublesome giant is reminiscent of today's story. 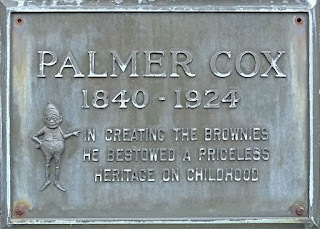 I'll give the tale first and then say more about Cox, his Brownies, and the source of today's story. Great story? Dunberidiculous! The "bones" of a story, however, are there, so it would be an excellent starter for story creation with a group of young future writers. After that it would be good to share Palmer Cox's version including his lively illustrations which, frankly, have more detail and character than his fairly simple story. 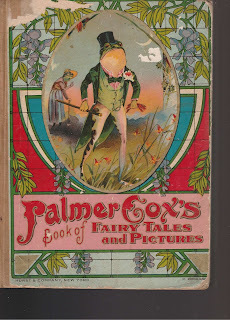 Two online biographies of Cox tell about some of his work, the omnipresent Wikipedia article and a Canadian Masonic article, which says there were 25 books in all, but neither article nor the many online at Internet Archive nor the few available from Project Gutenberg list them all, nor include my own battered unlisted anthology, Palmer Cox's Book of Fairy Tales and Pictures, which was inexpensively produced back in 1896 and 1897 by Hubbard Publishing Company and in 1902 by Hurst & Company. 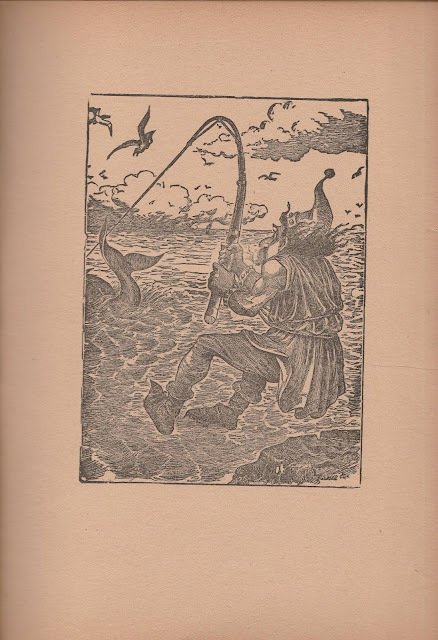 The Masonic site says that many books used Cox's name with his illustrations and previously published selections. Since he also wrote for many magazines, including "Ladies Home Journal", there was plenty of material to compile. The paper quality is poor and the stapled binding is only attached to the book's back, but as a result it is possible to copy even if every other page must be on an angle. The original owner, Orlo F. Jones, clearly loved the book subtitled "A Selected Collection of this Famous Artist's Best Efforts for the Amusement and Joy of Our Young Folks." 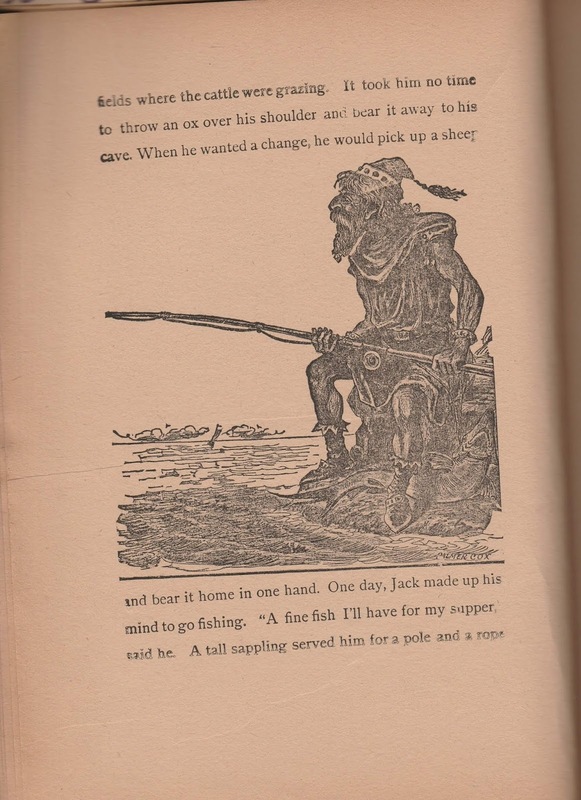 It is mainly anthropomorphic stories about animals, although one Brownie tale, "The Brownies' Kind Deed", is included. 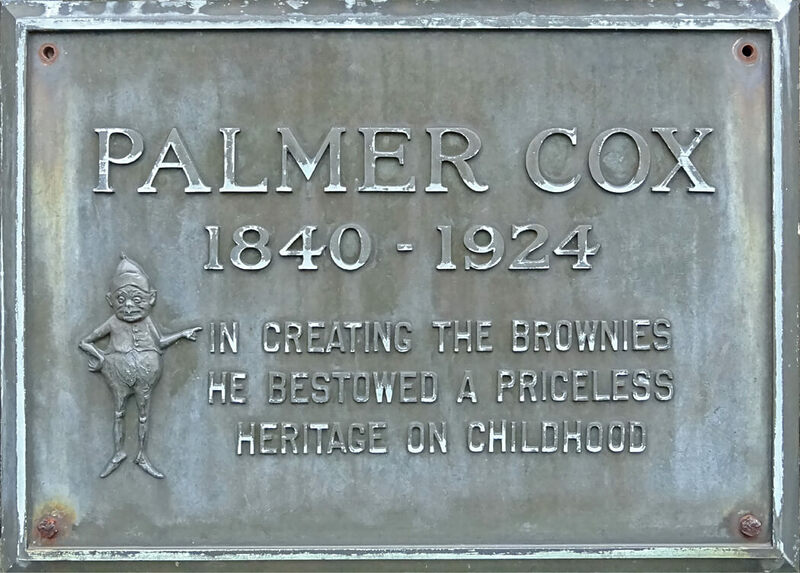 Those Brownies have their own, earlier hotlinked, Wikipedia article, relating their inspiring a wide variety of merchandise, even Kodak's inexpensive "Brownie Camera", yet Cox is reported to have received nothing from the commercial use of his creatures. 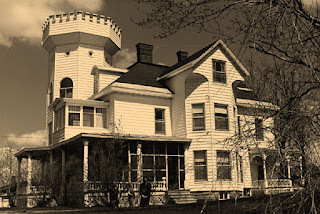 Still he clearly did well enough as that same Canadian Masonic site shows Cox's 17-room dream home, Brownie Castle, that his brothers built it to his design at the start of the twentieth in his hometown of Granby, Quebec. Brownie Castle was constructed with six staircases, a Brownie stained-glass window, and a four-story octagonal tower. A running Brownie weather vane topped a nearby barn. Now for the "fine print." 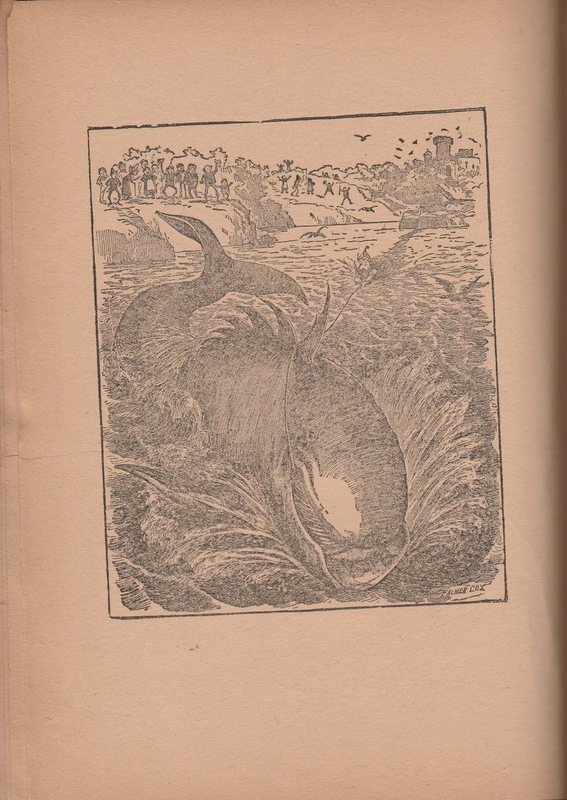 This is part of a series of postings of stories under the category, "Keeping the Public in Public Domain." The idea behind Public Domain was to preserve our cultural heritage after the authors and their immediate heirs were compensated. I feel strongly current copyright law delays this intent on works of the 20th century. My own library of folklore includes so many books within the Public Domain I decided to share stories from them. I hope you enjoy discovering new stories. At the same time, my own involvement in storytelling regularly creates projects requiring research as part of my sharing stories with an audience. 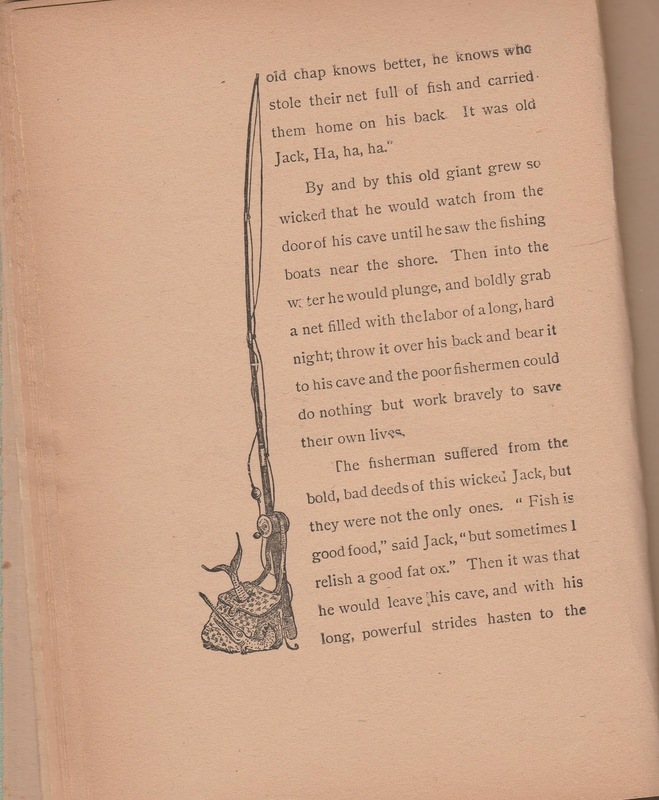 Whenever that research needs to be shown here, the publishing of Public Domain stories will not occur that week. This is a return to my regular posting of a research project here. (Don't worry, this isn't dry research, my research is always geared towards future storytelling to an audience.) Response has convinced me that "Keeping the Public in Public Domain" should continue along with my other postings as often as I can manage it. You may have noticed I'm no longer certain Dr. Perez has the largest database, although his offering the Motif Index certainly qualifies for those of us seeking specific types of stories. 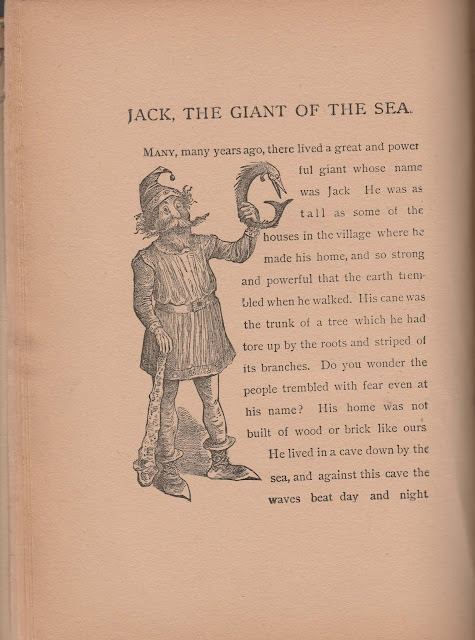 There's another site, FairyTalez claiming to be the largest, with "over 2000 fairy tales, folktales, and fables" and they are "fully optimized for phones, tablets, and PCs", free and presented without ads. 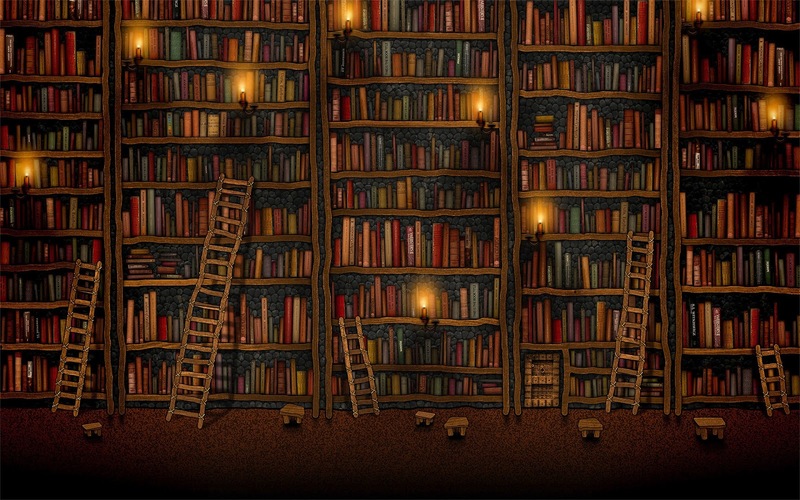 Between those two sites, there is much for story-lovers, but as they say in infomercials, "Wait, there's more!" - Story-Lovers - http://www.story-lovers.com/ is now only accessible through the Wayback Machine, described below, but Jackie Baldwin's wonderful site lives on there, fully searchable manually (the Google search doesn't work), at https://archive.org/ . It's not easy, but go to Story-lovers.com snapshot for October 22 2016 and you can click on SOS: Searching Out Stories to scroll down through the many story topics and click on the story topic that interests you. You're going to find many of the links on these sites have gone down, BUT go to the Internet Archive Wayback Machine to find some of these old links. Tim's site, for example, is so huge probably updating it would be a full-time job. 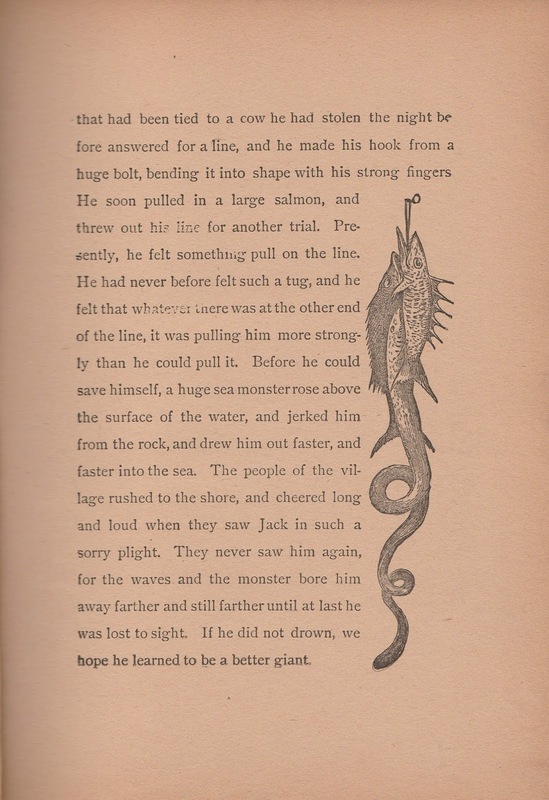 In the case of Story-Lovers, it's great that Jackie Baldwin set it up to stay online as long as it did after she could no longer maintain it. Possibly searches maintained it. Unfortunately Storytell list member, Papa Joe is on both Tim Sheppard's site and Story-Lovers, but he no longer maintains his old Papa Joe's Traveling Storytelling Show website and his Library (something you want to see!) is now only on the Wayback Machine. It took some patience working back through claims of snapshots but finally in December of 2006 it appears! 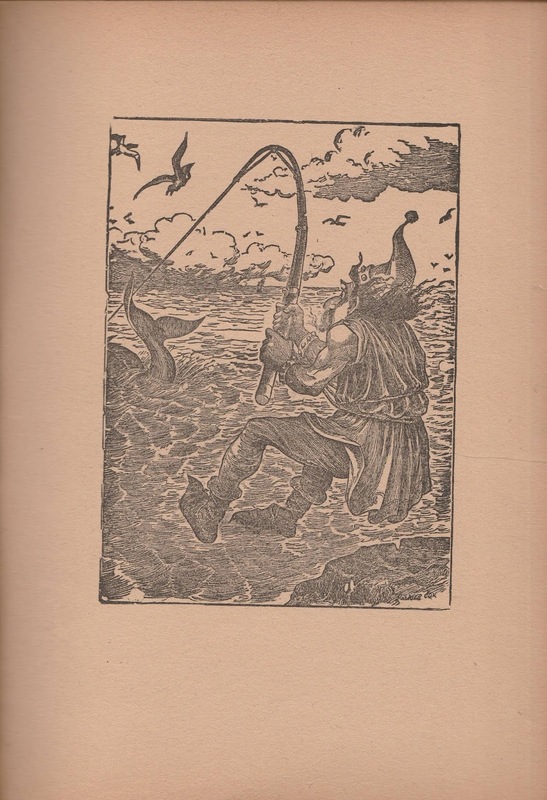 Somebody as of this writing whose stories can still be found by his website is the late Chuck Larkin - http://chucklarkin.com/stories.html. I prefer to list these sites by their complete address so they can be found by the Wayback Machine, a.k.a. Archive.org, when that becomes the only way to find them. You can see why I recommend these to you. Have fun discovering even more stories! After years as a storyteller-librarian, LoiS wants to share the research and ideas that go into her programs. For more about LoiS, go to her website at http://www.LoiS-sez.com or her Google + Profile. Her storytelling takes you Around the World & Back Through Time with folktales to match your topic or many historical reenactments. Copyright Lois Keel - All rights reserved (if you wish to reproduce my work, contact me). Simple theme. Theme images by luoman. Powered by Blogger.